Makueni has unveiled one of a kind Mother and Child Hospital at Wote. Out of the 200 beds, 120 are for adults and 80 for neonates. 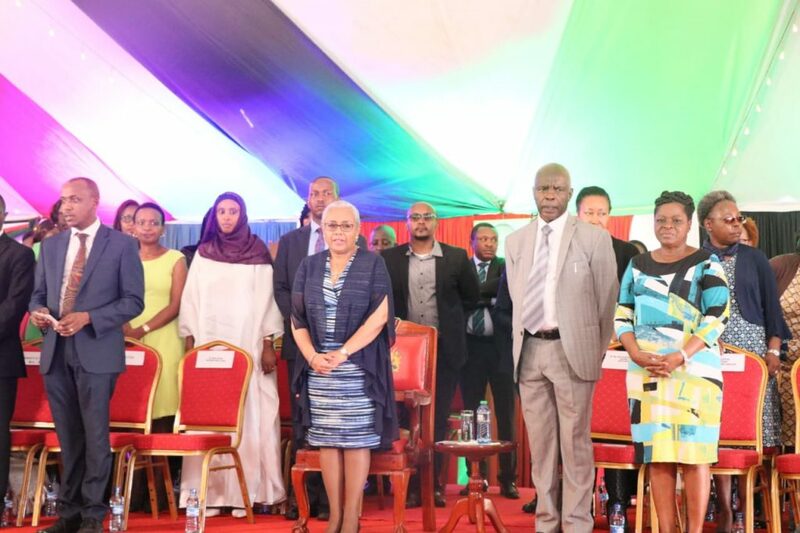 The facility, the first public hospital to offer aqua-birthing services in the country was commissioned on Thursday December 6th by national First Lady Margaret Kenyatta and Governor Kivutha Kibwana. The ceremony was also attended by regional leaders among them senator Mutula Kilonzo Jnr and MPs Daniel Maanzo (Makueni), Patrick Musimba (Kibwezi West) and a host of county first ladies. The facility is expected to be a regional specialist referral facility for maternal and child health services with a catchment population of close to 100,000. Kangaroo Mother Care room – for preterm neonates. According to governor Kibwana, The Makueni Mother and Child Hospital is in line with the county’s priority to ensuring the provision of the highest attainable standards of health as envisaged in our constitution. He said it is also aligned with President Uhuru Kenyatta’s big four agenda. “Besides the Mother and Child Hospital, the County Government of Makueni has invested heavily in the improvement of health services especially the maternal and child health,” he said. “The county government has increased physical access to health care. For example, we have in the last five years doubled the number of the physical facilities from the initial 109 facilities in 2013 to the current number of 232 operational facilities in 2018. This has reduced the average distance to access a health care facility from 9km to 4.5 km currently,” he said further. The facility has been constructed in phases for the last four financial years at a cost of Sh 135 Million which includes both construction and equipping.